Bloomingdale's has got five style/lengths of Waterford tablecloths (from 84" to 126" in length) on sale for $49.99 with free Loyallist shipping. So basically, if you buy three of these tablecloths, you'll get $25 off, free shipping and you'll end up paying $124.97, or $41.66 per tablecloth. 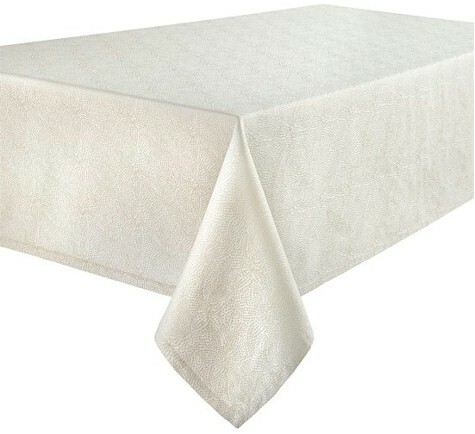 Waterford Jenna Ivory Oblong Tablecloth, 70" X 104", (available in 5 colors), $49.99 with free Loyalist shipping. 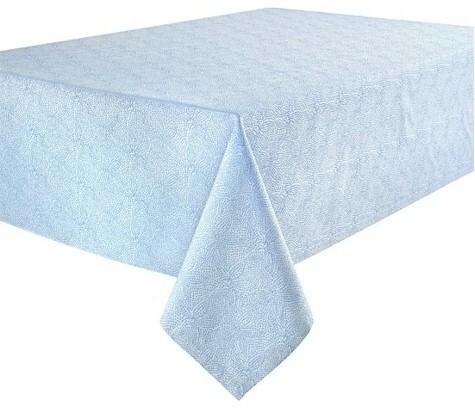 Waterford Jenna Ivory Oblong Tablecloth, 70" X 84", (available in 4 colors), $49.99 with free Loyalist shipping. Waterford Jenna Ivory Oblong Tablecloth, 70" X 126", (available in 3 colors), $49.99 with free Loyalist shipping. 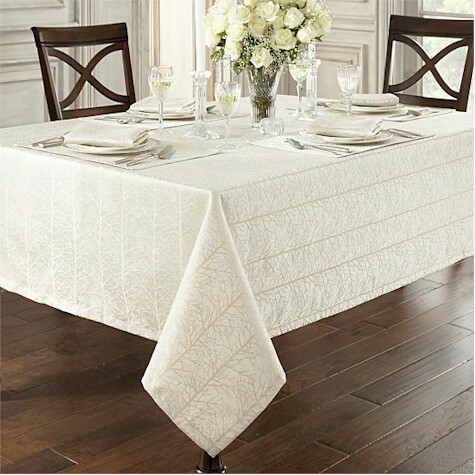 Waterford Trees Gold/Silver Oblong Tablecloth, 70" x 104", $49.99 with free Loyalist shipping. 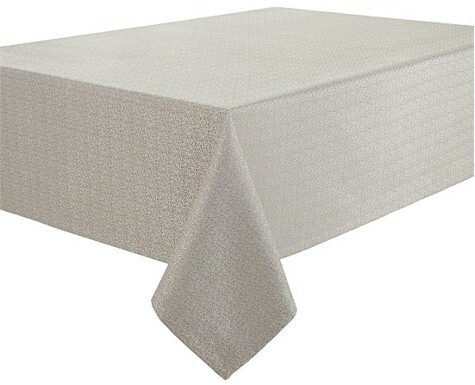 Waterford Montaigne Grey Oblong Tablecloth, 70" x 84", $49.99 with free Loyalist shipping.